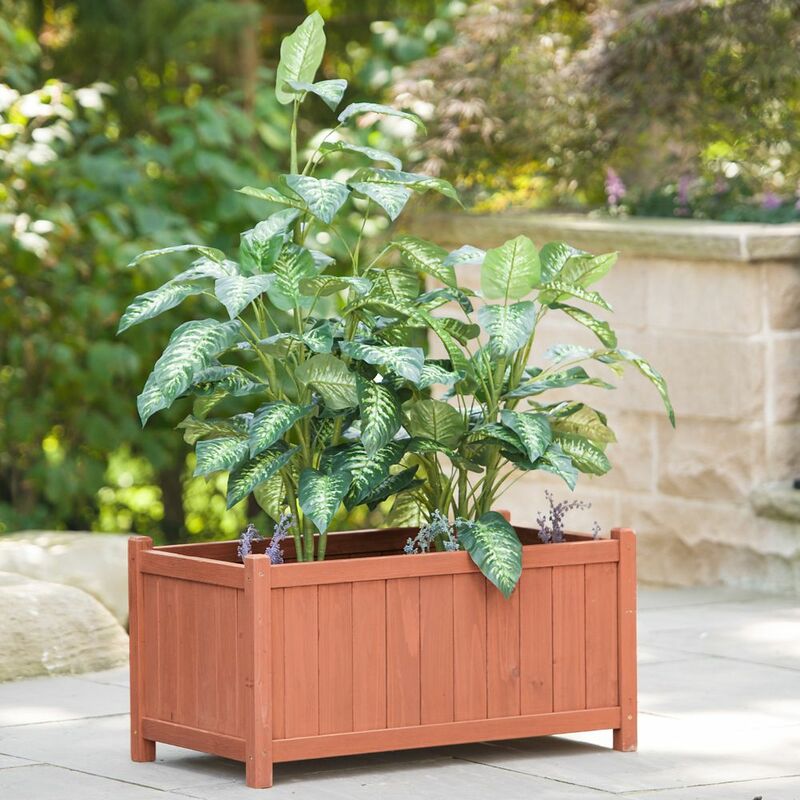 This Grapevine rectangular Urban Garden planter is Earth friendly, made from reclaimed pine wood used in recycled pallets. The planter has two separate sections allowing you mix and match flowers, plants, and vegetables. The recycled pine frame is complemented by attractive powder-coated black steel legs, providing durability and style. A plastic liner is included for easy and clean filling. This Grapevine square Urban Garden planter is Earth friendly, made from reclaimed pine wood used in recycled pallets. The recycled pine frame is complemented by attractive powder-coated black steel legs, providing durability and style. A plastic liner is included for easy and clean filling. This Grapevine raised rectangular Urban Garden planter is Earth friendly, made from reclaimed pine wood used in recycled pallets. The recycled pine frame is complemented by attractive powder-coated black steel legs, taller than our original rectangular planter, providing durability and style. A plastic liner is included for easy and clean filling. Rectangular Planter Box is rated 4.0 out of 5 by 2. Rated 3 out of 5 by Naj from Was excited to get this because it was the exact size I wanted. The picture shows redwood stain.... Was excited to get this because it was the exact size I wanted. The picture shows redwood stain. When we unpacked it, it was yellow. Not natural but mustard yellow. Will return it or I will have to stain it. Not happy. Rated 5 out of 5 by Dottie from Easy to assemble, looks great. It's outside and it is raining now. Can't take a photo. What are the dimensions of this raised garden bed? The dimensions of this item are 32&quot; x 18&quot; x 16&quot; high.